Someone once inquired about why his foot was hurting after he did his resistance training workout. He decided to do his weight training workout, without the proper shoes. He thought he could just go to the workout area in his recovery sandals. In theory, this should be fine... but in reality, it is not! It is always important to wear the proper shoe gear for whatever activity you may chose. In his case, he was simply "lifting weights" and did not think this would affect his feet. However, after his workout, he complained of pain on the ball of his feet and the outside of his ankles. After examining his feet and understanding which exercises he did, I can understand why his feet hurt. Some of the lower extremity exercises such as squats, which work on the quadriceps and gluteal muscles, put pressure on the ball of the foot, aggravating the metatarsal area. The lunges he performed strengthened his lower extremity muscles, however to balance on one foot, he needed to recruit the ankle muscles and ligaments in order to stabilize his foot, which in turn aggravated the outside ankle. So yes, you can get foot pain from lifting weights or just about any activity... without the proper shoe gear. The lesson? 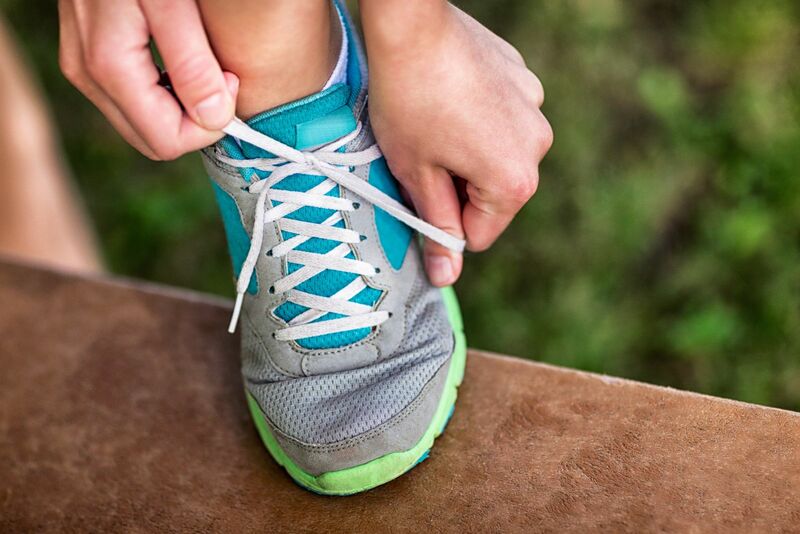 Take the time to make sure you prepare for exercise or any activity with a proper warm up and hydration, but also take the time to make sure you have the proper equipment, the most important of which is the right shoes.